Sale of a pump to the Philippines with our partner "AVM Handel und Vermietung". This is a training of the crew expected to take place in January 2012. The remaining equipment ordered will be delivered 2012. A large training package with schooling and training in "Industrial Cleaning" was acquired for DOW Argentina, local cleaning contractors and for University "Bahia Blanca" in Argentina. The training is expected to start in February 2012. MAUS GmbH sold in collaboration with AVM trade and industrial cleaning equipment to a company from Philippines. In addition to a 700 horsepower high-pressure water blasting equipment including accessories, the customer has ordered a flusher and even a TV system. The customer will be able to consolidate and expand its position with the investment in industrial cleaning and in the Asian sector. MAUS GmbH will assist the customer in its activities. Once the equipment is through customs, it is planned to implement a training program for staff in safety and dealing with technology. The cleaning industry has in the past three years, especially for "Dow Chemical" changed groundbreaking. The automation of cleaning services has anywhere to stay, and gives further impetus to large industrial customers such as Shell, BP, Esso, Total, Yara, Bayer, BASF and Huntsman to review their cleaning processes and automate where possible as well. MAUS GmbH is here in this process very well prepared and accompanied some industrial customers on the way to new technologies in the industrial cleaning. 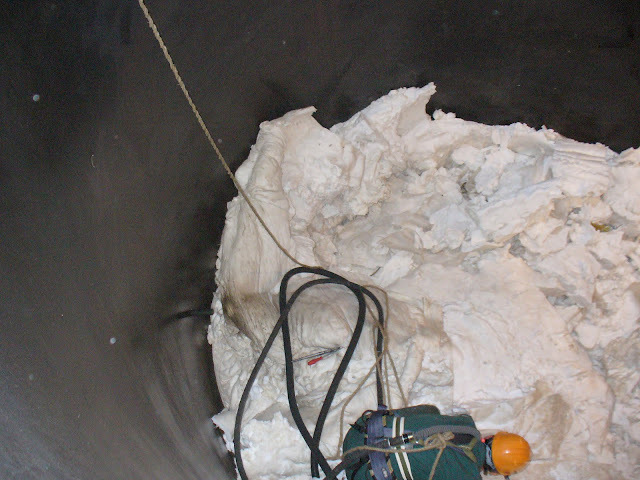 Long-term goal is to avoid contamination in process plants. Until then, one way to go: MAUS K & I Service GmbH is ready and other industrial customers in all aspects of safe and efficient implementation of industrial services to stand aside. 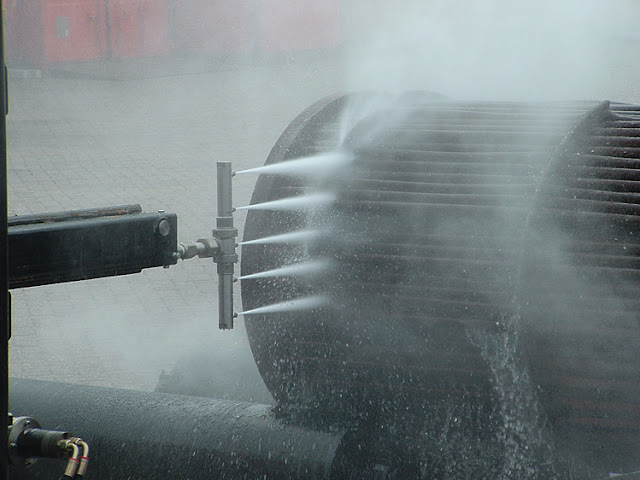 MAUS K & I Service GmbH will participate in a congress of WJTA in the U.S. to include contacts to establish in the field of optimization of the high-pressure cleaning. MAUS K & I Service GmbH is now on location in Argentina, to introduce the automated cleaning. MAUS K & I Service GmbH flies a week after Singapore for "Rohm and Haas." The aim of the trip is to optimize the high-pressure cleaning in the Asia-Pacific chemical plant. MAUS K & I Service GmbH dealt with a request from RWE for an automatic cleaning system. The first trial purifications were carried out successfully. Here you can read about our safety rules. Maus High Pressure Technology GmbH and AVM Handel + Vermietung (supplier of high pressure water jet technology) successfully finished join project in Saudi Arabia in December. The customer ordered a 700-hp high-pressure water jet unit including the additional equipment of AVM. Maus High Pressure Technology GmbH took over the installation in a container, the training and familiarization of the team on the ground. New upcoming project for Maus K&I Services GmbH with long-term partner DOW Chemical in Terneuzen (The Netherlands), start in the end of November 2009. The project is devoted to preparations for the next Traineeship Program of Industrial Cleaning work and additionally work up LHC TA2011 (special maintenance system for hydrocarbon production plant). New working visit for Russian market: In November 2009 Maus K&I Services GmbH had visited Ural Aluminum Company in order to maintain job for WOMA high pressure systems and provide some recommendations for future usage. Dear customers and friends, MAUS High Pressure Technology GmbH company wish you Merry Christmas and Happy New 2010 Year! We are looking forward to cooparate with you next 2010 year in order to acieve all our goals together. MAUS High Pressure Technology. In October 2009 Maus K&I Services GmbH had successfully managed the pipe cleaning project for SARAS Company, which is located in Saroch Sardinian (Italy). According to result the management of Italian company was satisfied by quality of work and suggest to Maus K&I GmbH participate in another project which is planed to start in February 2010. K&I Services Maus GmbH company signs contract for the construction and operation of a special cleaning device for cleaning pipes in Saudi Arabia.